Rabbi Neal Schuster is the new senior Jewish educator to KU Hillel. 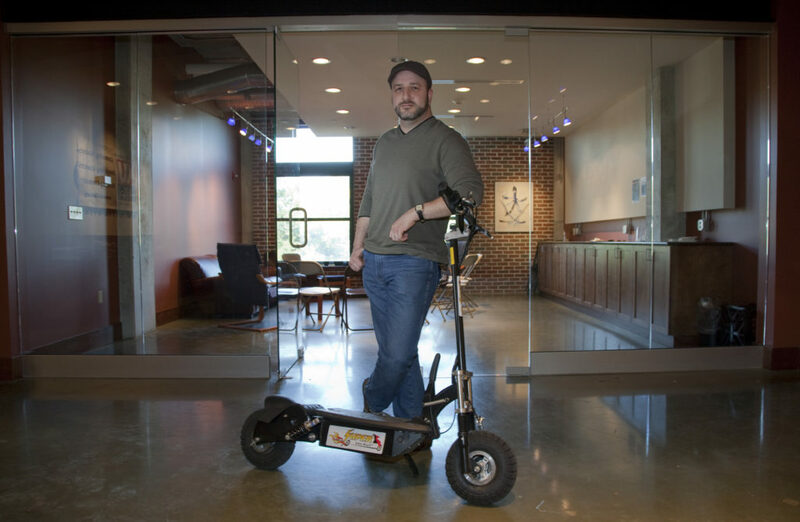 He keeps an electric scooter at the Hobbs-Taylor Lofts location to commute back and forth to the KU campus. Rabbi Neal Schuster is the new senior Jewish educator to KU Hillel. The laid back leader uses a sofa and coffee table as a desk in his Hobbs Lofts office. 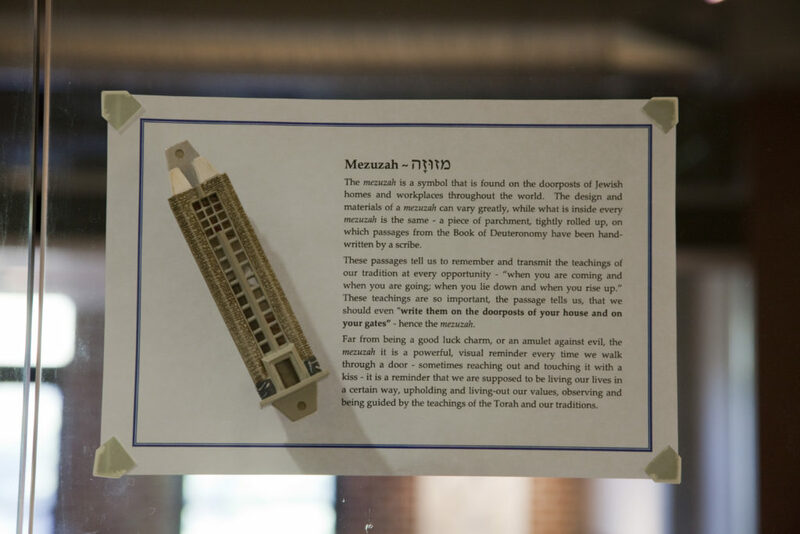 A mezuzah is placed on the front door to KU Hillel, located on the second floor of the Hobbs-Taylor Lofts, 730 N.H. Rabbi Neal Schuster is the new senior Jewish educator for KU Hillel. First Kansas University’s Hillel chapter got a new space. Now it has a new face: Rabbi Neal Schuster. The KU Jewish organization moved from its former home — a cute old house at 940 Miss. — into the very modern Hobbs-Taylor Lofts, 730 N.H., in the spring. Then this summer it added Schuster as a senior Jewish educator — one of only 10 at Hillels across the country. The position is made possible through a grant from the national arm of the Hillel organization and gives the chapter not only its first on-staff rabbi, but also a chance to engage more students, says Jay Lewis, the chapter’s executive director. Indeed, Schuster’s personality seems to be tailor-made for the kinds of deep conversations about life and spirituality that can go hand-in-hand with college life. 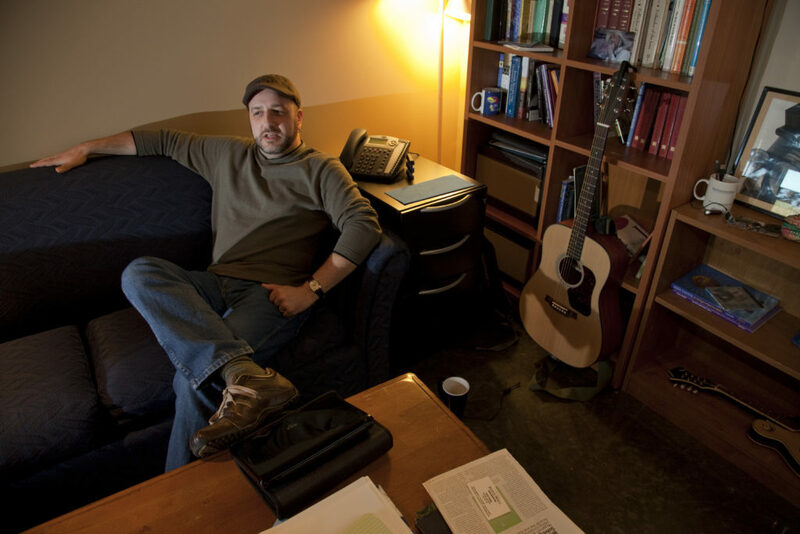 Sitting in his office in Hillel’s temporary loft space — the group will move into its 3,000-square-foot permanent home on the first floor sometime next month — he sinks into a couch, surrounded by warm light, books and technology, including a laptop and, strangely, a microscope. With its clean lines and comfy feel, the space looks like something of the sort of office a cool teacher would have on a movie set — perfect for conversations ranging from homesickness to how rock ‘n’ roll works into the religious world. Nothing is not a part of Jewish life, he says. Whether art, music, philosophy, neuroscience or a fly on the wall — everything is part of his particular belief in spirituality. That’s where the microscope comes in — it’s used as a metaphor for the religious duty of exploring creation. It’s that kind of creativity about the Jewish faith that make Schuster a unique find for Hillel and the 1,800 or so Jewish students on KU’s campus that Hillel is hoping to connect with, Lewis says. He fully expects students to flock to Hillel’s brand-new space just to sit on Schuster’s couch and talk about Pink Floyd and Sukkot. Schuster grew up in Seattle, the youngest of five brothers. He studied business administration at the University of Washington and had a real estate company with one brother before graduation. Soon, he quit the real estate game and began taking youths on trips to Israel. Though he has always been heavily involved in spirituality, the last thing he thought he wanted to be was a rabbi. He went to rabbinical school at Hebrew Union College’s Jewish Institute of Religion in Los Angeles. His first full-time rabbinical job out of school? With Overland Park’s Congregation B’nai Jehudah. There, he met Lewis, who is a member of the congregation. They became friends, and when Lewis was mulling over a chance to get the senior Jewish educator grant, he went to Schuster to get a rabbi’s perspective on such a position. KU was one of only two schools to receive the grant that didn’t already have a rabbi on staff. Lewis says adding a clergy member to the staff is important, but the fact that KU Hillel had done so well without one may also be why it was given the grant to begin with. Schuster is excited about being a part of that impact.